Having officially unveiled its Llano APUs only a few short hours ago (check out our performance review here), AMD seems pretty darn eager to flush its dated silicon. DigiTimes has it on good authority that the company plans to phase out most of its older-generation processors by the second half of this year, with approximately 30 AM3-based Athlon II and Phenom II parts marked for execution in the third and fourth quarters. If everything plays out as expected, Athlon II chips will drop from 70% of AMD's total processor shipments in the second quarter to 40% in the third. That figure will dwindle to below 30% in the fourth quarter and the series will cease to exist by the first quarter of 2012. Phenom II CPUs will suffer the same fate, dropping from 3% in the second quarter to less than 1% in the third. Death will ensue by the fourth quarter. DigiTimes says AMD will stop taking orders for the Athlon II X2 series including 255 and 270, Athlon II X3 450, Athlon II X4 650/640, Phenom II X4 970/965 and Phenom II X2 565/560 by the end of the third quarter. The Athlon II X4 620e, Phenom II X4 910e, Phenom II X4 980/975 and Phenom II X6 1100T/1090T will be nixed in the fourth quarter. Some chips, including the Athlon II X4 610e, will be cancelled in July. By the time 2012 kicks off, AMD's entry-level E series APUs (those inside netbooks and other compact systems) will represent some 20% of its total processor shipments, while high-end AM3+ FX series parts (Bulldozer, a new 32nm desktop architecture due in the third quarter of 2011) will account for another 20%. 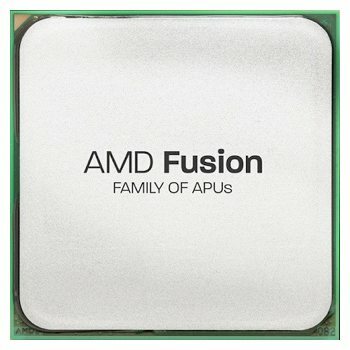 Most of the remaining cut will be held by the company's new mainstream FM1-based A series APUs. DigiTimes' report follows one day after iSuppli's first quarter CPU standings, and things aren't looking so hot for AMD. The company represented 10.1% of the global processor revenue, down 1.7% from a year ago. Although its revenue share is shrinking, the company seems to be shipping a similar number of processors, suggesting that its profit margins have taken a hit (and we don't expect Llano to help matters). Intel's revenue share grew 2% to 82.6% during the same period -- despite the Cougar Point fiasco. "Intel moved quickly to identify and correct the Sandy Bridge chipset issue during the first quarter," said analyst Matthew Wilkins. "Intel’s handling of the issue on both the public relations and business fronts stands in stark contrast to other recent examples of big companies facing major product quality challenges."